Republican Congressman Doug Lamborn has represented Colorado’s 5th Congressional District since 2007. This year, he’s running for his 7th term in office, and he’s facing a challenge from Democrat Stephany Rose Spaulding. We heard from Spaulding yesterday, and today we ask Lamborn why he’s running and what he hopes to accomplish if reelected. 91.5 KRCC: Why are you running for re-election in the 5th Congressional District? Lamborn: Should I be fortunate enough to be re-elected, there are some things I really want to go back to Washington and work on -- I've been working on them, but we're not done yet. I really want to make sure that the economy comes out even stronger than before. Under Donald Trump and with the tax cuts that we've done, the economy is just really booming right now and getting stronger and stronger. We got to keep up this economic growth. I'd say that that's number one. Number two is strengthening our military. And as you know I'm on the Armed Services Committee and I have a senior position on that committee. And that's a real opportunity for me to make sure that the military is properly funded. You know we have such a strong defense presence here in the 5th congressional district of Colorado. We have a lot going on and have been so involved in that, but the job's not done yet. And then I guess lastly, my third priority would be to help Donald Trump with immigration. You know we have a border situation that's really not where it should be. I know why people want to come to America. It's the land of opportunity. But we have to have a reasonable and rational immigration policy and we have to have an effective border security as well. 91.5 KRCC: So you mentioned the economy and the tax cuts. One aspect of that that you didn't mention is the deficit. The Congressional Budget Office has said that the tax cut bill has already increased the deficit in this most recent fiscal year. Are you concerned about that, and what do you think needs to be done? Lamborn: I'm absolutely concerned about that and we all should be concerned about it. Now let me say this, the best long-term solution is getting spending under control and entitlements under control. But we have to have growth as a country. The better growth we have as a country the easier it is to pay our debts. 91.5 KRCC: Another issue that you've been involved with is the repeal of the Affordable Care Act. You've supported that in the past. What are your thoughts on that issue at the moment? Obviously, efforts to repeal the Affordable Care Act have failed -- do you think it's time to move on from that issue? Lamborn: I would still like to repeal all of Obamacare. Now we did repeal the individual mandate and that was a good thing. The Republican plans did address preexisting conditions. And I think they did so in a very clear-sighted and honest way by addressing people who have preexisting conditions as opposed to the Obamacare remedy, which was to raise expenses for everybody require them to have insurance whether they wanted it, or not or whether that was the best for them or not, and then when everyone was covered that would also include preexisting condition. Let's address preexisting conditions, but make sure that everyone has the freedom and flexibility to do what's best for them and have a lot of different options available. 91.5 KRCC: You've touted the fact that you're one of the most conservative members of Congress. How do you square that with the need, as a representative, to represent all members of your constituency including Democrats and independents? Lamborn: Great question. One thing that I do for everyone in my district is to make sure that if they need a service from the government we will go to bat for them. We don't ask what their registration is, we don't even ask if they're registered to vote. We say if you're a member of this community of constituents of the district we will help you. Now when it comes to philosophy, I'm not going to be able to have a philosophy that everyone agrees with. In fact, we kind of, unfortunately, have a polarized country in many respects right now. You know, there's a lot of stress and angst over politics right now and you can't make everyone happy. I learned a long time ago you just can't make everyone happy. So you have to be true to what you believe. Put it out there and see if the voters agree with that, and if so, you have to live up to what you said you would do. And I've tried my best to do that. Ballots are out and voting is underway in Colorado ahead of the Nov. 6 midterm election. Here in Southern Colorado, Democrat Stephany Rose Spaulding is running to unseat Republican Congressman Doug Lamborn in Congressional District 5, which covers El Paso, Teller, Fremont and Chaffee counties, as well as parts of Park County. 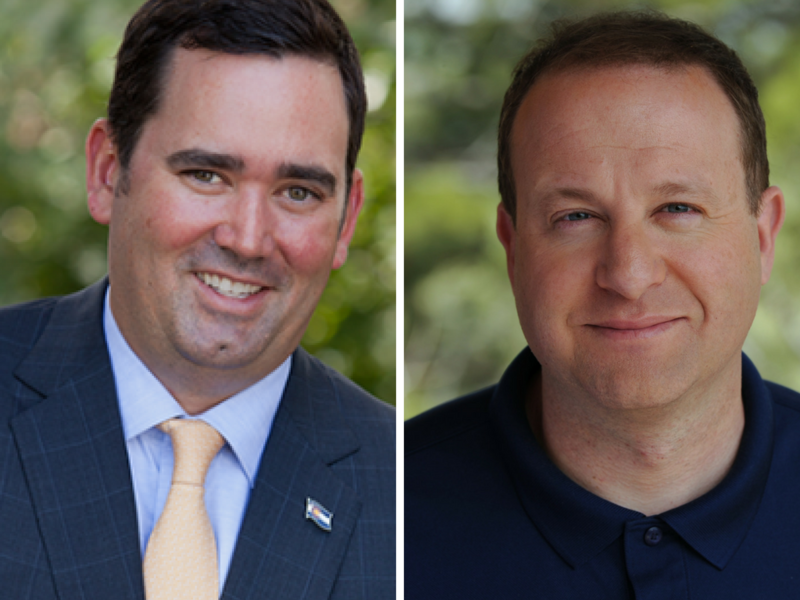 A new poll from the University of Colorado reveals what voters think of new oil and gas setbacks, a tax increase for education and their choices for governor. He owns a small business that does contract work for some of Colorado’s largest oil and gas companies. 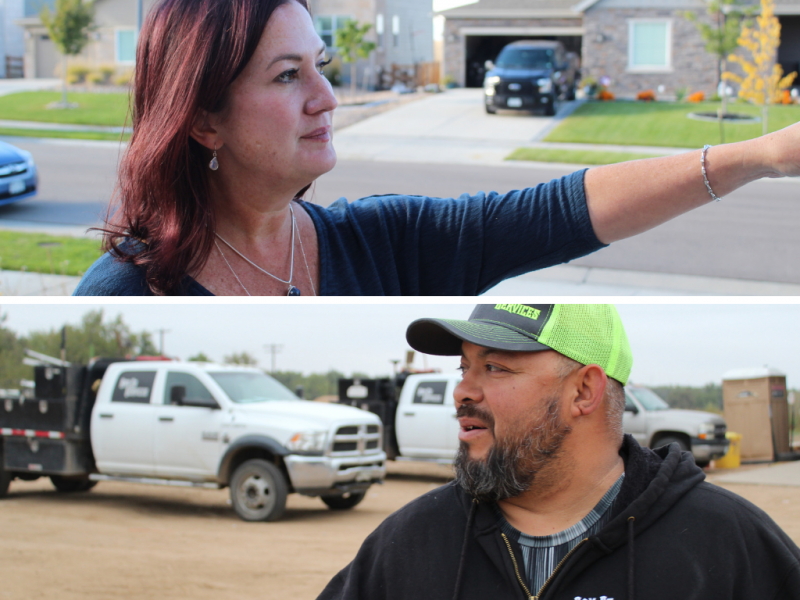 She runs a marketing firm from home and lives within a half-mile of three well pads. She’s voting yes on Proposition 112. He’s voting no. 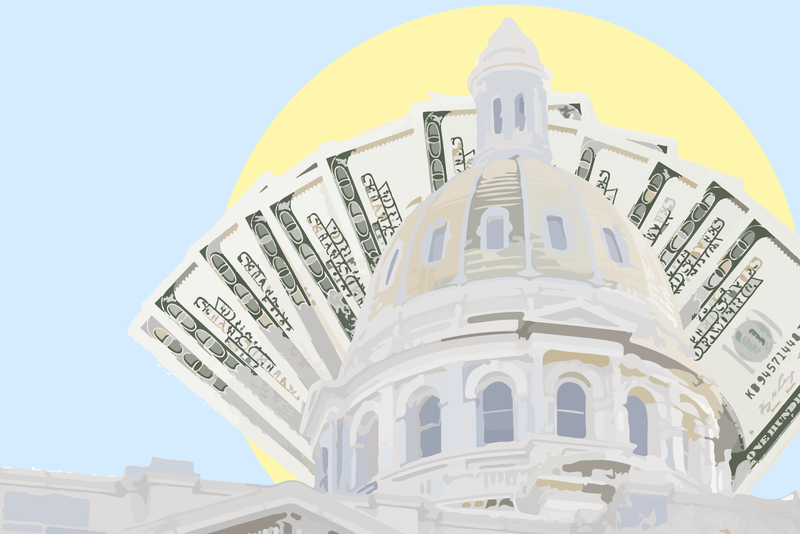 In 2002, voters in Colorado supported sweeping changes to state campaign finance laws. The goal was to rein in the influence of money in elections. The law contained a strong preamble about how large campaign contributions could corrupt politics and give special interests, corporations and the rich disproportionate influence. Then along came the millionaires running for governor, spending millions of their own dollars on their own campaigns.